ChildChild age: 4-12 years. Under 4 ride free when not occupying a seat. 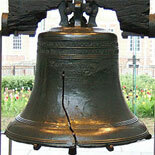 Allow Philadelphia's Premier Tour Company to show you the sights and tell you the tales of a city that forged a nation, cheered for Rocky, invented the soft pretzel and is home to the Liberty Bell and Independence Hall. 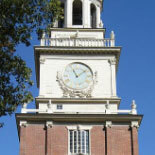 90+ minute City Tour and 27 stops along the way. Ticket is good for one day with unlimited on-and-off privileges. Free Courtesy Shuttle (9:30 am - 4:30 pm) available from Center City & airport locations. 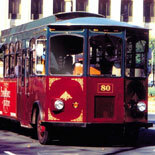 Step aboard one of the signature burgundy and green Victorian-style "open-air" trolleys. Enjoy the view as the past meets the present through the colorful narrative of experienced tour guides. They will enlighten and entertain you with humorous stories and fascinating facts about Philadelphia's famous sights and attractions. 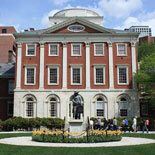 They bring old and new Philadelphia to life on this 90 minute fully-narrated City Tour. Your Pass will give you the freedom of unlimited on-and-off privileges at any of the 27 stops throughout the day to explore Philadelphia's cultural and historical attractions, restaurants and shops. So, come.....Step aboard one of the signature Victorian-style "open-air" trolleys. Enjoy the view as the past meets the present through the colorful narrative of experienced tour guides who bring Philadelphia to life with their stories. Free Courtesy Shuttle (9:30 am - 4:30 pm) available from Center City locations. Departure times vary based on season. Closed Christmas and New Year's Day. Tours depart from the NE corner of 5th and Market Streets, directly across from Independence National Historical Park. See trolley staff to have your ticket validated. There are several parking garages near the Independence Mall Area. They are located at 6th & Arch Street underneath the Visitor's Center, 4th & Ranstead Street behind the Bourse Building, 2nd & Sansom Street (stop 2) and 11th & Filbert Street (stop 5). 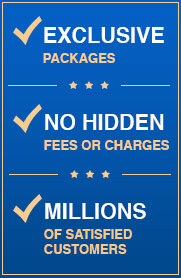 Ticket is good for one day with unlimited on-and-off privileges. 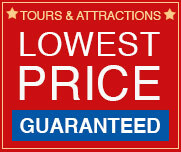 All tours subject to availability and are on a first come - first serve basis.